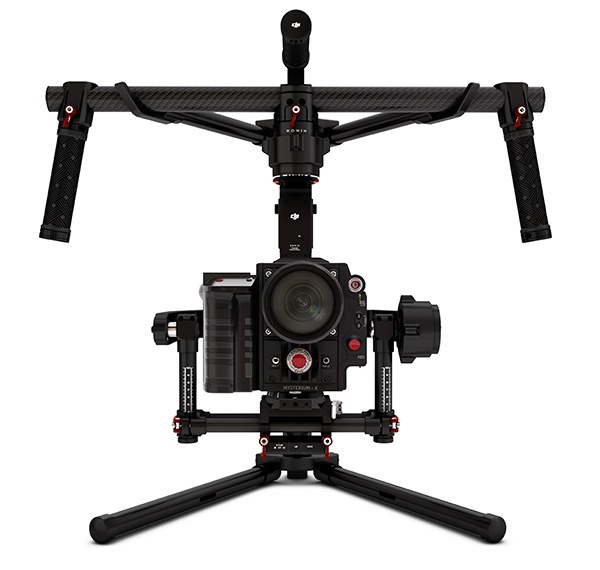 The DJI Ronin has been developed for the filmmaking professional. High build quality standards ensure that it keeps up with the demands of rigorous handheld and aerial use in trying environments. Simply hold it in your hands or mount it to an aircraft to create smooth and stable footage. Custom built ultra-fast processors, extremely accurate sensors, and advanced algorithms, together with fanatical attention to detail has created a system that offers remarkably precise manipulation of control angles - within the range of ±0.02°. This puts world-class, industry leading technology into your hands and creates unparalleled picture and video stabilization. With a little practice, the Ronin takes less than 5 minutes to set up and balance whenever the camera configuration is changed. SmoothTrack gives a single gimbal operator the ability to transform their tilt and pan movements on the gimbal into smooth and stabilized camera angle changes. Underslung mode for traditional operation. Upright mode for eye-level or even higher shots. Briefcase mode for a slim low-profile setup. A built-in DJI receiver allows the Ronin to be remotely controlled by a 2nd operator. The gimbal operator can focus on gimbal movement while the 2nd operator pays attention to camera movement. The Ronin’s customized smart battery is easy to install and simple to charge with the provided charger. Remaining power can be checked directly on the battery.